Your donor file contains a wealth of information. Spencer Group transforms this data into powerful, user-friendly analytic reports that provide valuable insight into the key factors impacting your annual giving results. Our reports are delivered in convenient Excel® formats, giving you the ability to copy and paste charts into other documents and presentations. Our proprietary analytics have consistently garnered the praise of administrators and trustees who seek an enlightened assessment of annual giving performance and potential. The knowledge you gain from our analytic reports becomes the foundation for intelligent strategic planning. To enrich this process, we produce custom Excel® spreadsheets that enable you to set realistic goals, forecast future growth, prioritize donors based on value, and establish a multi-channel solicitation plan aimed at generating the highest return. Your message – and the way in which it is delivered – is critical to the success of your annual fund. When trying to decide what will work best, you can tap into our extensive knowledge. 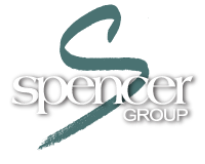 Spencer Group has created and produced hundreds of annual giving solicitations. We have analyzed the results of a diverse assortment of formats, designs and approaches – and can give you recommendations of the top performers. Furthermore, you can rely on us to fulfill your design and copywriting needs. Your donors are a valuable asset – many of them are worth thousands of dollars over their lifetimes. They deserve quality solicitations that appropriately recognize their contributions while positively portraying the image of your institution. To ensure a quality product and service, Spencer Group operates an in-house print and mail “boutique” that generates highly-personalized digital direct mail pieces exclusively for our annual giving clients. Our tight control and close attention to detail gives you peace of mind that each project will run smoothly, on-time, within budget and according to plan. You can also turn to us as a convenient resource for creating and sending high-impact email solicitations that will bolster response to your annual fund and strengthen relationships with your constituents.